Douglass Morgan ’57 BARCH served in the U.S. Army for two years after graduating from Texas A&M University in 1957. He went on to work for Phillips Petroleum Co. in Oklahoma in their architectural design department. In 1967 Morgan left Phillips and went to work for United Airlines in Chicago for 33 years as their owners’ architect on various airport expansion projects across the country. He later served as United’s senior airport planner on major airport and airfield expansion projects across the country. From 1989 until 1975 he relocated to Denver where he was involved in the planning and construction of Denver International Airport. After retiring from United in 2000, Morgan was employed by the URS Corps in Denver as a senior airport planner working on airport projects worldwide – the largest being Los Angeles International Airport. In 2006 Morgan was hired by TCM of Indianapolis to join its program management team to manage the design and construction of the Midfield Terminal Complex in Indianapolis, which opened late last year, as well as other airport projects. Morgan, a proud member of the architecture class of 1957, has been working since his graduation. Albert Hoyt ’64 BARCH is a construction project inspector in Santa Maria, Calif. His current project will be complete in two months, then after working for 45 years in architecture and construction he is moving to Cabo San Lucas, Mexico. He will build his home overlooking the Pacific. He hopes to continue to work on resort construction in Cabo, play golf, and dine at the harbor hangouts regularly. John Shanahan, MARCH ’68 MUP ’70, is a senior associate at The Lafferty Group in Dublin, Ireland. Shanahan manages public sector business development initiatives and consults on public-private partnership projects in Ireland and Northern Ireland. He joined Lafferty after retiring in Feb. 2008 as a senior project manager for the U.S. Department of Commerce. This fall, he’s starting at University College in Dublin to pursue a Ph.D. in planning. His studies will focus quantitative assessments of urbanization impacts in Ireland and on reforms to the Irish planning system resulting from an investigation of political corruption and European Union planning policies. Jack Downing '70 BARCH, is managing principal at the newly named Downing Ferguson Peeples, LLC. "The new name reflects the promotions of two of my longtime teasip employees, Terese Ferguson, and William Peeples, to partner status," said Downing. Since moving the firm in 1981 to Austin from Washington, D.C., Downing has specialized in the planning and design of health care facilities with projects across the U.S. and in China. Terry Hutchings '70 ARCO, established TDH Safety Consulting Services, LLC, in late 2008, serving businesses in central and southeast Texas. He describes himself as semi-retired and living in Conroe, Tx. Ralph Martinez '72 BARCH, a principal at RGM architects, is entering his 30th year of practicing architecture in Dallas. He is also adjunct instructor of mathematics at El Centro College in Dallas. 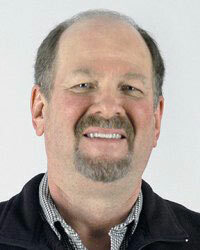 Art Logan-Condon BDCR ’73 is an independent contractor providing services to architects and building owners. He closed his business of 28 years; his business partner was Dan Gear ’73. Robert Randolph, president of Randolph Landscape Architecture, is looking to connect with fellow Aggies for referrals in the Austin area. His firm practices sustainable design/build with emphasis on native plants, cacti and succulents, ornamental grasses, hardy tropical plants, local organic soil amendments, mulches, stone, granite, etc. Allen Oller ’78 BSBC just finished a proton therapy cancer treatment center in Oklahoma City, Okla. and is going to southern Florida next year to build another proton therapy center. Oller currently resides in Kingwood. Kent McLemore, '78 BDCR, '85 MUP, '88 Ph.D. is aviation director for the Southern District of HNTB Corporation, a planning, engineering and architecture firm. His newest pursuit is implementing biophylic design and planning into airport plans. 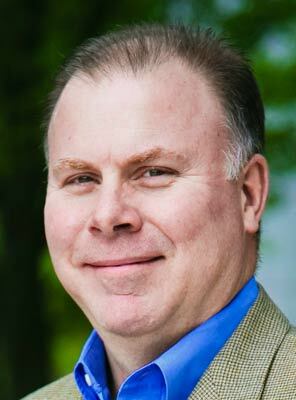 Michael Callahan, ’79 BED, is a new member of the board of directors for the Koinonia Foundation, Inc, Fairfax County, Virginia, the county’s only recognized emergency provider for food, clothing and job counseling. Cheryl Gajeske '79 BED, is a principal at PGAL, a Houston firm that links the facilities programming, planning and design process to an organization's culture, business plan and operations. She led the firm's efforts in the recent completion of the Greater Harris County 9-1-1 Emergency Network headquarters, a $161 million project expected to receive LEED Silver certification. The firm has moved into a new building, which is expected to receive LEED Gold certification for its core shell and interior construction. Roger Martinez ’80 BLA has had his own business, Rogers Gardens, for 15 years with offices in San Antonio and Corpus Christi. He’s been married to Patricia for 25 years and has two daughters, Cecily, who’s graduating from the University of North Texas in December 2009 and Chelsea, who’s a freshman at Texas A&M. Patricia is a teacher at a private Christian school. Melissa (Hine) Reed '83 BED, is an electro-mechanical technician specializing in data acquisition systems at the Dual Axis Radiographic Hydrotest (DARHT) facility at the Los Alamos National Laboratory. DARHT is the world's largest X-ray machine, part of the U.S. stockpile stewardship program, which ensures the safety and reliability of the U.S. nuclear arsenal without nuclear testing. Jeff Bouldin ’84 BDCR and his wife, Renee, are raising their six children, running their business, Primetex Corporation, and serving in their local church. Jai Cochran, ’85 MLA, had many of his oil paintings and watercolor landscapes on display in the historic Scarborough Building on the corner of Sixth Street and Congress Avenue through Sept. 2009. Currently, his landscape, “West End, Enchanted Rock,” is on display in the second floor ceremonial office in Austin City Hall as part of the People’s Gallery program. His collection of acrylic butterflies is on display in Kruger’s Diamond Jewelers at Eighth and Congress. Jai is former landscape architect who practiced in San Antonio in the 1980s and designed the grounds of the Texas State Aquarium in Corpus Christi. Robert Vaughn '85 BED saw his daughter, Caroline '13, begin the fall 2009 semester as a freshman environmental design major. He's the owner of Robert Vaughn Homes, LLC. William Matthews ’87 BDCR married a Baylor graduate last November and is working as a business unit safety manager at Titan America. Prior to that, he was at Zachry Construction for 7 year and, prior to that, was with Martin K. Eby Construction for 10 years. 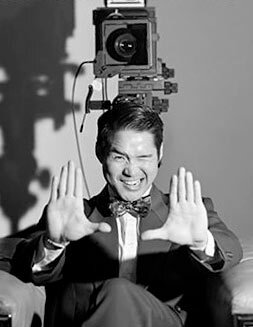 Patrick Wong '87 BED has had his photos published in DWELL magazine and the Austin American Statesman. His work is scheduled to be published in "Beautiful Bedrooms & Baths: A Collection of Fine Design" by Signature Publishing, and in the December/January issue of Fine Homebuilding magazine. Wong, master photographer at Atelier Wong Photography, married Cherry Li in May 2009. Kevin Denton '87 BDCR, a general manager for Hill International, is project director for the Baku Flame Towers project in Baku, Azerbaijan. 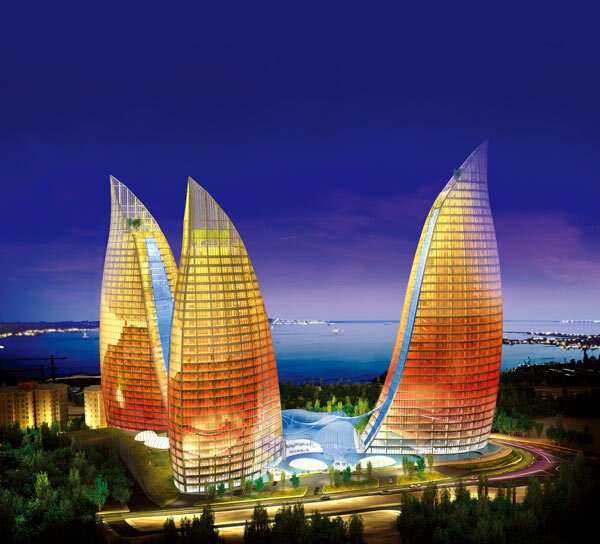 The project consists of three high-rise buildings with views of the Caspian Sea ranging in height from 34 to 39 stories, linked by retail and leisure facilities. Christopher Jones, ’90 BDCR formed MH Brothers, a full-service specialty contractor in Cypress, Tx., including services such as full-service waterproofing, roofing and sheet metal roofing, fascia and wall panels. The business also provides masonry, painting, pressure washing, and general maintenance services. Michael Griffith '90 COSC has been with Vulcraft Sales Corporation for more than seven years, starting as an estimator/salesman in the Dallas area. In 2006 he was promoted to district sales manager of the Albuquerque, NM office. In July 2009 he accepted a promotion to manage the sales office in Bethel, CT. Vulcraft is a division of Nucor Steel and sells manufactured steel products. Michael Panzer '92 BED, BDCR is senior vice president of architecture and construction of Hotel REIT in West Palm Beach Florida. He and his wife Jill's daughter just turned 2 years old. .Todd Bennett '95 BED opened TrB Architecture from his residence in Austin in late August. Bennett offers architecture services for commercial and residential properties and has extensive experience designing educational facilities. His firm's website is at www.trbennett.com. Daron Andrus, ’97 BED, is a senior designer in the hospitality studio at HKS, working around the world on projects, from Bermuda to the Bahamas and from Mexico to the Middle East with a focus primarily on high-end luxury resorts. Andrus has also worked with several studios at Texas A&M, helping to bridge the gap between the academic world and realities of the workplace, and hopes to continue the relationship in the future. Kelly Quinn ’98 BED is a major in the U.S. Air Force stationed at Shaw Air Force Base in South Carolina. Her husband, also stationed at Shaw, is also on active duty. Matthew Green ’99 BED was recently promoted to senior project manager at CMA, an architectural firm in Fort Worth. He recently earned a Master of Architecture degree from the University of Texas at Arlington. Dawna Houchin '00 BED is working on the Eli and Edythe Broad Modern Art Museum project at Michigan State University with her firm, Zaha Hadid Architects in London. 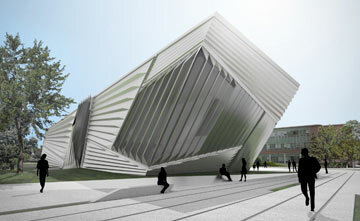 For more information about the project, visit http://broadmuseum.msu.edu/. Darcie Lantz ’02 BED has a nine month-old daughter Heidi, loves living in Tyler and works part time as a graphic designer with Pine Cove Inc. She also runs a freelance design business from her home. Natalie Bunton '02 BED is raising a 16-month old baby named Allie; she and her husband Neiss are expecting a baby boy in March 2010. Alicia Fierro ’03 BED lives in Dallas with her sons, Lucas 3, Diego 1, and her husband Amado. She keeps in close contact with other former students Yvette Maldonado, Lorraine Page, and Jennifer Cortez. Whitney Skinner ’03 is currently in her final year of completing a Doctorate in Integrate Textiles and Apparel Sciences at Auburn University. Most notably, Skinner has been involved with development of Universities Fighting World Hunger, a non-profit associated with the United Nations World Food Programme that has over 100 universities around the country working to fight global and domestic hunger. Eduardo Cantu ’04 COSC is exploring and advancing the use of technology in construction for small business. Ross Smith, ’04 COSC is building a Veterans Administration hospital in Harlingen. He’s a project manager for Harvey-Cleary Builders. Tamara Zengerle ’05 BED works at the Texas Association of Builders in Austin. She and her husband Lee have a four-month old son. Annie (Chilcoat) Dean '05 COSC is at home as a "domestic engineer" with her infant son, Hudson Tyler Dean. After receiving her degree, she worked in estimating and project management for Rogers-O'Brien Construction, then went to Zachry Industrial in San Antonio, doing progress planning at cement plants, gas- and coal-fired power plants, air quality control systems and solar power fields throughout the U.S. She got married in Oct. 2007, and her husband works in College Station. Ashley Nicole Ortmann '05 BED is engaged to the Rev. Christopher Michael Kennedy with a wedding planned Jan. 23, 2010 in San Antonio. Work, who earned a Master of Architecture degree from Clemson University, is employed by Archimedia, an architectural firm in New Braunfels, Tx. Cody Shepard '06 COSC married Amanda Johnson on August 29, 2009. Shepard works at the Buford-Thompson Company, a North Texas construction firm. Alnuaimi Maitha ’06 MSARCH established an architecture consulting firm, Bin Dalmouk Consultants, promoting sustainable architecture as well as working on large-scale projects in her home country, the United Arab Emirates. Hernan Molina ’07 MARCH was awarded with a TSA Studio Design Award in 2009. The project was his thesis for his Master of Architecture degree. The project was done under the supervision of Taeg Nishimoto, a former Texas A&M College of Architecture faculty member. Molina and two former students won an AIA Dallas Citation Award for RTKL Associates Inc. at a recent AIA Dallas award ceremony. The project is called Gateway to L.A., and was in the unbuilt project category. Nicholas Higdem ’08 COSC is an IFS scheduler with NORCON in Prudhoe Bay, Alaska. He’s spending a lot of time outdoors and would love to talk to someone about opportunities for Aggies in Alaska: nhigdem@gmail.com. Patrick Mobley, ’08 BED is enrolled in the Master of Architecture program at UCLA. Holly Elizabeth Janica ’08 BED, has moved to Chicago to pursue a Master of Architecture degree from the Illinois Institute of Technology. Nicholas Pirro ’09 COSC was married July 25, 2009 to Maria Fernandez an ’08 Industrial Engineering graduate. Peter Lampard ’09 BED has moved to Hong Kong to search for a job in architecture. Briana Morrison '09 BLA spent 2½ months after her graduation camping and hiking in the Eastern Sierra Nevada mountains performing trail maintenance with the Student Conservation Association. Maria Moran '09 BED, has thoroughly enjoyed her 6-month break.